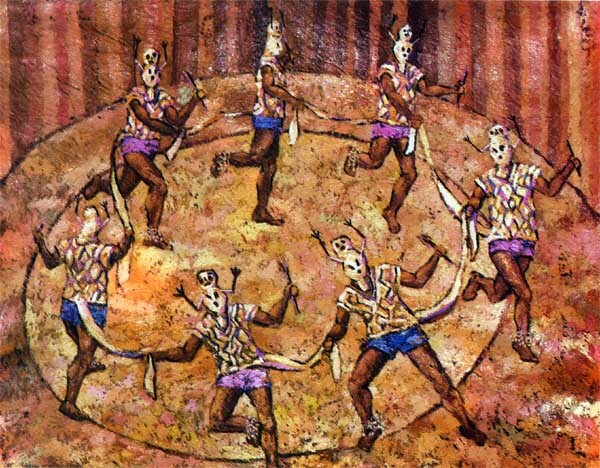 This intriguing scene, titled "Baile de Mono" (Dance of the Monkey) is full of movement. The original subject is unusual for Grippa and not duplicated by any other painter. It gives a powerful sense of how the native people respect the world around them, in this case celebrating the monkey and its vitality.